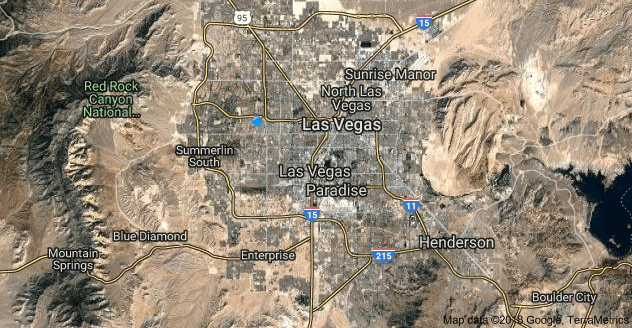 The incredible shrinkage of Las Vegas M-1 Land! For about two maybe three weeks now, I have been conversing with a Las Vegas Land Owner (Client). During this time, this Client has educated me on some particulars about being a Las Vegas Industrial (M-1) Land Owner. This very intelligent man owns a large trucking company located in Las Vegas. During the housing boom of the last 30 years, the Client was one of the largest supplier of trucks to developers so that they could haul/transport building materials, equipment, dirt and debris in and around the Las Vegas Valley as they moved dirt and built real estate. To see the Client on the street, you'd think him a poor, old man. That's the way he likes it. Anyway, he has a decision to make and it's about two of his "yard space" parcels he owns in the southwest of Las Vegas. He wants to sell his property to a neighbor -- who is even a larger land owner in Las Vegas than my Client -- but he knows this other Owner is trying to low-ball him. And, this other Owner has already bought, or is buying up, the properties around my Client to kind of force Client to sell to the other Owner at the other Owner's price. My Client knows that the other Owner has plans for a very, very large rail served warehouse, marshaling yard in the area. Now, with the limit of M-1 Land in this area, my client is willing to sell to the other Owner; it's the price that's the sticky situation. My Client just doesn't want to be taken; NOR, does he want to stop the development. This is why we met yesterday for lunch: to strategize a selling procedure in which we hope will be beneficial to all parties. Hopefully, in the next 7 to 10 days, we will have a sale. In the meantime, if you have any Las Vegas CRE related questions, contact me. Underwriting says the property won't pencil out! The headline of today's post is a lie! It's what California investors have been telling me about one of my Downtown Las Vegas listings that's for sale at $2.8 Million. That's the Owner's selling price. And, I agreed he shouldn't sell it for any less. But, a lot of the California Investors that have approached me on this studio apartment building just want to steal. They are retreating from California because the prices are way, way too high there. So, they are crawling into Las Vegas trying their best to steal a property. Now, some have been doing this for years and years. Others, are new to this market. But, when I tell them about the benefits to buying at a 9.9% Cap Rate and that area rents are slowly increasing, they take the information under advisement and then -- a few days later -- they give me the phony excuse. Yes, the property needs remodeling. Paint and carpet has a cost but NOT a $1 Million dollars worth of cost. 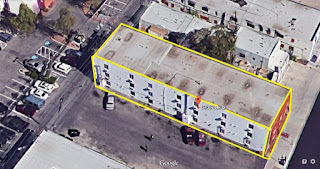 Besides, the already renovated 27 unit apartment property one parcel north SOLD for +/-$87,000 per unit six months ago! These investors seem to like wasting my time. If I had $2.8 Million, I would have acquired the property already. But, I'm short in that area. And, no I'm NOT going to play the lottery even if it's more than $1 Billion. Too many dumb people play just to make one dumb person rich. So, I will continue on with my marketing. There is a buyer out their looking for a fixer upper who doesn't mind earning +/-$21,000 per month! This morning, I received this via email. I've never sold a brothel even though they are legal in Nevada. I just had to blog this so you understand that when it comes to real estate, a business can be included in the sale -- which this business sale includes the real estate! Rare opportunity to purchase a Licensed Brothel. Seller Financing. One of the last truly cash businesses available. Legal, operating, turn-key Brothel. Management in place and Seller will provide training. Limited competition located at the intersection of 2 major highways. Seller financing to a qualified buyer. Real estate included. Rare opportunity – these licenses rarely transfer to new owners! Competition: Very difficult to get into this business. Licenses are limited and none are available in this area at this time. Labels: Casino, Commercial Real Estate, CRE, Development; Las Vegas Investments, Downtown Las Vegas, Gaming, Hospitality, Net Lease Investments, Resorts, Retail. Unemployment is DOWN! Under employment is UP! Unemployment is at such a low, low number. But, have those people truly found work? OR, did their unemployment time just run out on them. And, since they are no longer collecting unemployment checks, have they truly found a job? You see, historically once your unemployment runs it's course, the government considers you have have been re-employed -- whether you truly are or not. But, in truth, most probably did find a new job. They probably did become re-employed. But, that new job most probably came with a drastic pay cut. To go from earning $40,000 per year to earning $16,000 may be considered re-employment, but that doesn't cover the bills. If these former unemployment collecting workers did find work, it was that they had to settle for a job that pays much, much less then what they were earning. That's IF they actually did find work! So, until I see a more comprehensive study on this matter, I'll keep my excitement for the re-employed to myself -- for now. Since I live and work in the Southern Nevada Desert, this doesn't make much sense. But, my ancestral line runs smack through east coast whalers who captained the ships on those long ago whale hunts. But, as I live and breath dusty desert air, I do find myself helping land owners to sell their land. This one particular parcel is actually two parcels that are very close to each other. A 7.89 Acre parcel and a 5 Gross Acre parcel. Each has water, power and telephone service to their sites. Each is on Septic Tanks. Anyway, the Seller's asking price was $12.18 PSF. We immediately received an offer at $13 PSF. I strongly suggested to the Seller "Take It!" The property details are it is M-1 Land with outside storage. Most of the land in this area is ground leased to contractors. 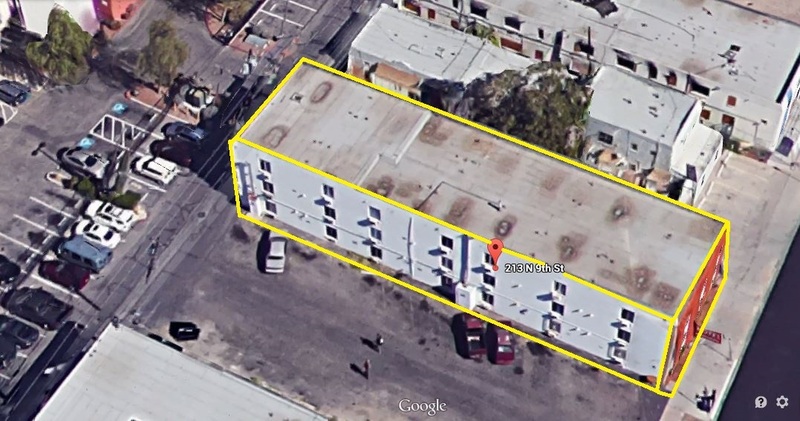 These particular parcels generate more than $10,000 per month in gross rent. The Owner is a local business man who owns a large local trucking company. I think he's done well for himself through the years. Still, you blog readers can do the same if you give yourself time and effort. And, you begin by contacting me to see where your starting point is.